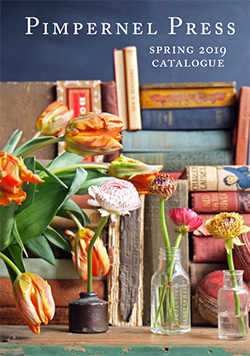 Our latest catalogue (Autumn 2019) is in - you can download it from this page. Michelle Mason's glorious Flower Market: Botanical Style at Home has been recommended in Wedding Ideas - "Steal styling ideas straight from London’s Columbia Road with Michelle Mason’s Flower Market. You’ll even find tips for using reclaimed glassware and seasonal plants." Griselda Kerr's The Apprehensive Gardener: Managing Garden Plants has been reviewed in Country Living - "Griselda Kerr describes The Apprehensive Gardener as a crook to lean on - a guide to how to make the plants in your garden happy. Maintenance becomes a creative force in Griselda's hands and her tips are interesting and well presented." And the legendary publisher Carmen Callil (Virago, Chatto & Windus) has this to say about Writing Home by the brilliant Polly Devlin (foreword by Dame Joan Bakewell) - "I passionately love this book...the writing and the spirit, the cauldron of lives and language, the moral rigour, the observation...I wish I had published it." Our authors will be out and about this Spring - catch up with where they'll be on the NEWS & EVENTS tab. 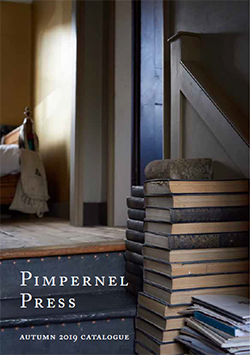 More details about our books can be found in our Spring and Autumn 2019 catalogues, which can be viewed or downloaded from this page and on the Books tab. You will find our books in all good bookshops. If you want to buy online and cannot (or prefer not to) find our books at Amazon.co.uk, we suggest you go instead to our favourite online retailers - Books etc., http://www.booksetc.co.uk/and The Hive, http://www.hive.co.uk/. If you are a bookshop, see ABOUT US to find out how to order.